Indianapolis, IN – 2014 kicks off with a new partnership between Broad Ripple’s seminal music venue, The Vogue, and Indianapolis’ best selling craft beer, Sun King Brewing Company. The Sun King Concert Series at the Vogue will feature over sixty concerts throughout the year and an incredible array of talented artists from across the country. “The great thing about our partnership with Sun King, is that we are both independent locally owned businesses, doing whatever it takes to stay over-the-top and keep our customers satisfied! The Vogue is looking forward to an awesome partnership with Sun King! It’s a match made in beer & rock n’ roll heaven!” ~ Steve Ross owner of The Vogue. The Vogue will now offer all three of Sun King’s House Beers (Sunlight Cream Ale, Wee Mac Scottish Ale, and Osiris Pale Ale) at every bar locations throughout the venue, giving concertgoers greater access to Fresh•Local•Beer. The Sun King Concert Series will feature numerous nationally touring acts including; Neko Case, Mayor Hawthrone, Yonder Mountain String Band, and many local acts. Local promoters, as well as former Vogue Talent Manager, Matt Schwegman, who is now with Live Nation, have put the series together. New signature events are in development as The Sun King Concert Series at the Vogue sensation continues to take shape, including events that will have a charity/not-for-profit focus. 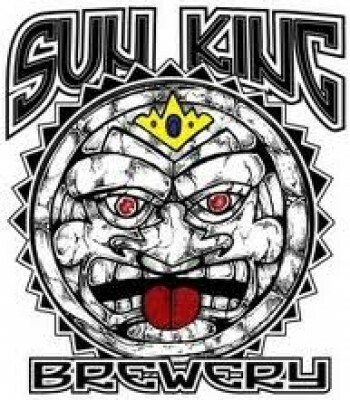 Sun King Brewing Company is the brainchild of Dave Colt and Clay Robinson. With the help of family and friends – Omar Robinson, Andy Fagg and Steve Koers – the first keg of Sun King beer rolled out the door for delivery in July 2009. Now available on tap and in cans at hundreds of locations around central Indiana, Sun King has grown into the second-largest beer brewer in the state of Indiana. The company’s commitment to handcrafted seasonal and specialty beers has been rewarded with multiple medals at the Indiana Brewers Cup, Great American Beer Festival and World Beer Cup competitions.